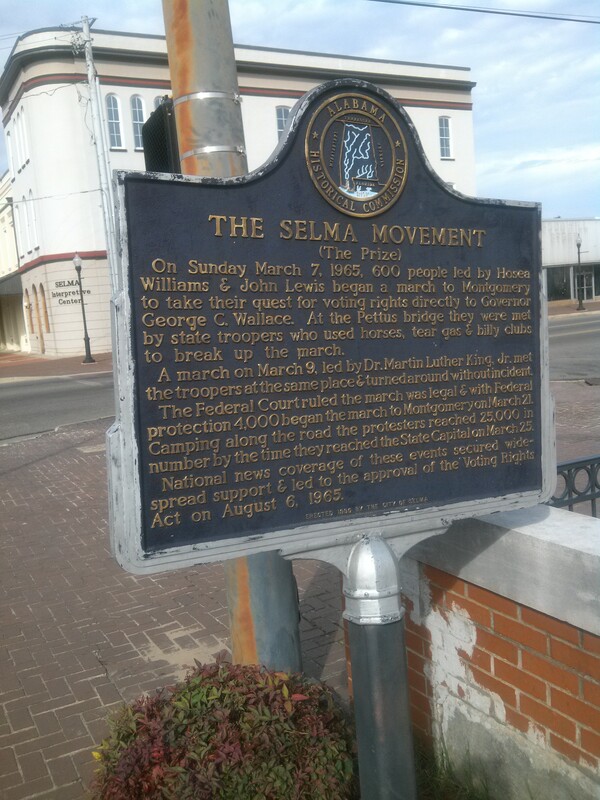 I took this picture on the Edmund Pettus Bridge in Selma, Alabama. My wife and eight year old daughter took the picture as I stood on the bridge. 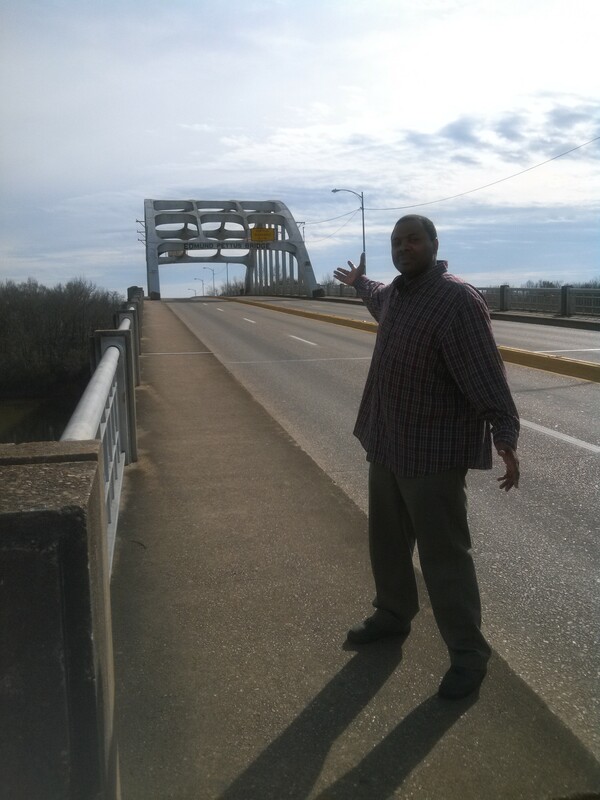 This is the bridge where Civil Rights Activist were attacked with tear gas and clubs.The event is known as “Bloody Sunday.” A Version of the events will be told in the new movie “Selma.” Came a long way but still have a lot of work to do in our society concerning race relations.